Kissing 2018 goodbye. It was a rough ride for many of us. Between personal issues, family issues, social injustices, deciding on how to be a warrior for peace without actually going to war. 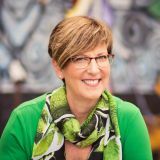 Navigating the highly charged emotional waves of society made me want to stay home under the covers many days, but I didn’t; I set a shield of protection around me and showed up every day and I’m glad I did. A few articles back I wrote that I’m a sensitive person when it comes to energy and vibrations. This time of the year I find myself feeling very deeply and also being very reflective. Yep, this Cancer/Leo gets on the water train! Here’s how I manage that. I take some time to assess the past year. I look at what I learned, what I healed, and how I’ve grown. When I take my time, be honest and stick with it I can get a beautifully clear picture. Many times we get through a lesson without really understanding or recognizing our process. I didn’t want to enter 2019 just as clueless as I was in 2018. I don’t want to enter 2019 with the emotional baggage either so I do this self-check to inventory and release anything I may be holding on to. Calling all angels! First I call Archangel Raphael--who drives out the darkness that is attached to us, then Archangel Gabriel--who brings revelations and clarity, and thirdly Archangel Uriel--who brings wisdom and truth, finally Archangel Michael who helps me learn my lessons and protects me too. I call each of their names out loud. Do you know that when you say an angel’s name out loud, they come to you post haste? In order to enter the new year with positivity, I work with the angels who will help me learn and let go. 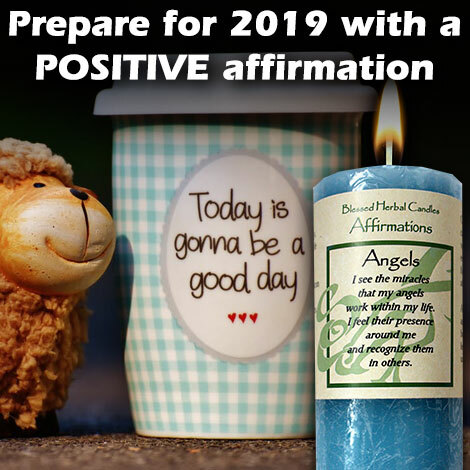 I light the Angel Affirmation candle with the intention of recognizing the miracles they worked in my life over the past year. I thank them for what they have done and then ask them to show me what I may still be holding on to and to please remove what is no longer serving me. I sit in quiet meditation as the angels lift my vibration. It makes it easier for me to understand my experiences. I pay attention to the physical sensations and the emotions that come up. This also alerts me to other work I may need to do and whether or not I need to get help from a professional. I do this every day until the candle is consumed. Then I rest and give myself time to process my new thoughts and insights. I invite you to do the same for yourself. Archangels are non-denominational, so be assured they will come to your aid when you call. All of Coventry Creations Affirmation candles are on sale the month of December. Order online at www.coventrycreations.com to take advantage of the 15% off special. Use our products to attract blessings into your life. Let the light shine and dispel the darkness. Life is meant to be a joyful experience too. To purchase more life-changing Coventry products, visit our website and don’t forget to sign up for our newsletter for more Coventry magic delivered right to your inbox.